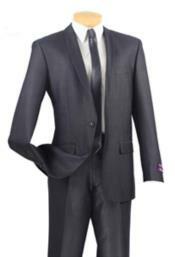 SKU#KA7004 Mens Grey ~ Gray Shawl Collar Slim Fit Tuxedo Suit Black Lapled Blazer Sportcoat Dinner Jacket Looking! 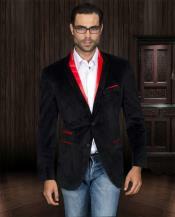 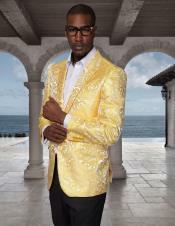 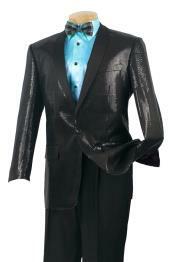 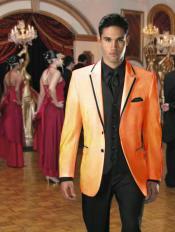 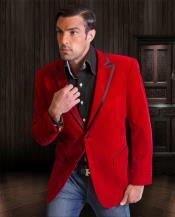 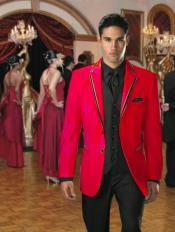 The traditional dinner jacket is made of black wool, with ribbed-silk or satin lapels but without vents. 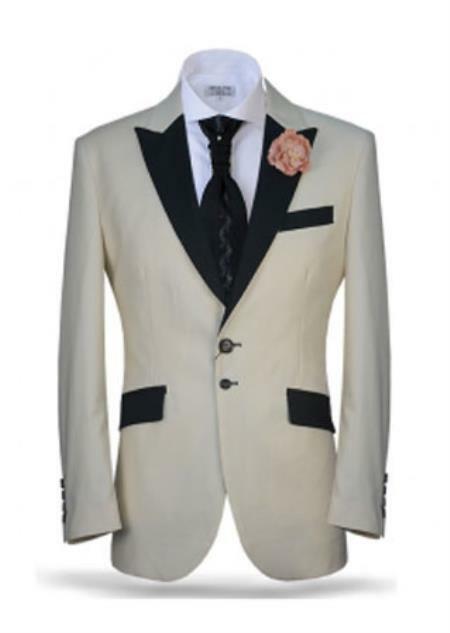 The lapel can either be the peaked lapel as seen in the evening tailcoat, or the shawl lapel associated with a smoking jacket. 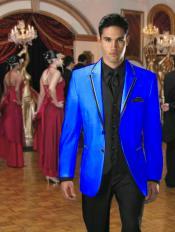 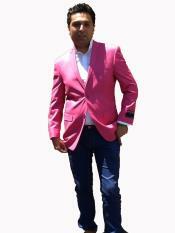 If you choose the peaked lapel, it is immaterial whether the jacket is single or double-breasted. 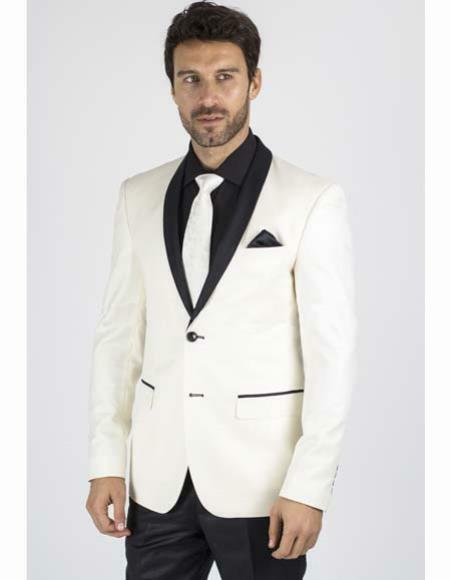 (in the UK, it is considered incorrect to have more than one button on a single-breasted dinner jacket). 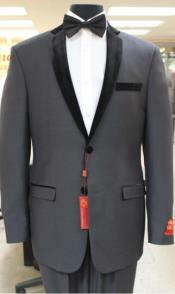 The third type called Notched lapels is an American innovation but considered by many as inappropriate and informal. 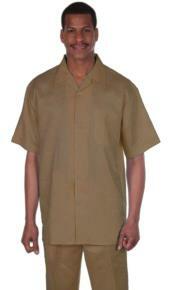 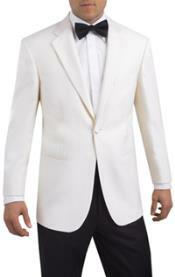 People also wear white dinner jackets particularly in warm climates, and in some tropical countries. 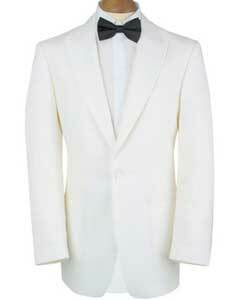 The conservative British do not consider white dinner jackets to be acceptable, even during summer months. 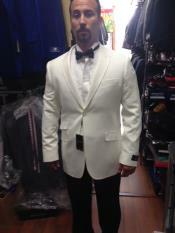 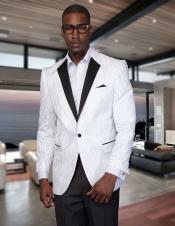 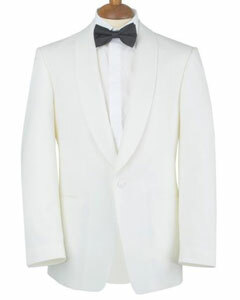 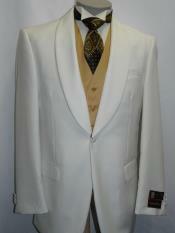 In the United States and Canada white dinner jackets may be worn from mid-April through to Labor Day. 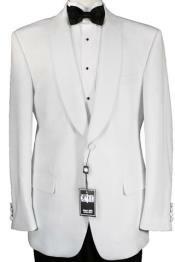 Many fashion experts believe that white dinner jackets are an appropriate wear only in India, the West Indies, and south east Asia. 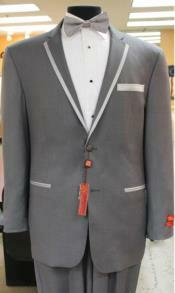 colonies. 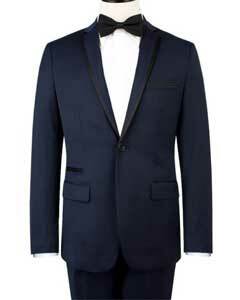 Dinner jackets in what is known as midnight blue was first worn by the Duke of Windsor when he was Prince of Wales. 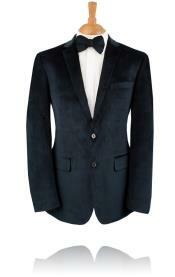 It was later justified that in artificial light midnight blue looked black, whereas black acquired a greenish tinge. 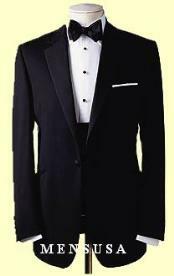 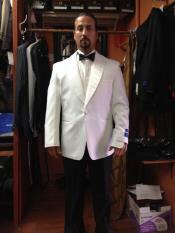 It is considered lack of manners for a person to remove the dinner jacket during a black-tie social event. 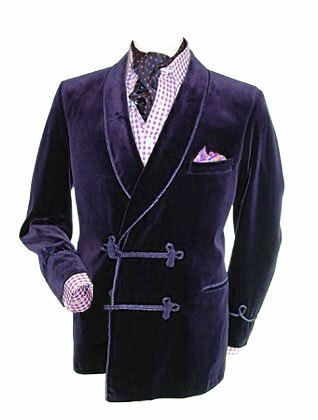 However, during summer months when the humidity is rather high, one may take off the jacket if members of the royal family and other noble dignataries noticeably remove their jackets.